BOND: Revisiting FOR YOUR EYES ONLY | Warped Factor - Words in the Key of Geek. Matthew Kresal loves a drive in the country. Don't you...? The 1970s were a troubled time for James Bond. It was a decade of ups and downs both on screen and behind the scenes. The series had gone back and forth between extremes as it changed leading man, lost one of its producers, and fought off indifference from both critics and the public alike to stay alive. Though it left the decade in great financial shape thanks to Moonraker, that same film had sent it so deep into science fiction territory that it looked as though it might never come back from it. The first Bond film of the 1980s, For Your Eyes Only, would bring the series back to earth and Bond would hit the ground running. Nothing in the film is more surprising than Roger Moore’s Bond. Doing his fifth Bond movie, Moore would seem to have settled into the role by becoming a Walther PPK toting comedian, but here he changes that perception. Moore definitely has his quips, and almost all of them are good, but For Your Eyes Only finds Moore at his most serious as Bond. One need only look at his serious scenes with Carole Bouquet, or the scene where he dispatches Locque to see that despite his reputation, Moore could in fact act. There are only a few moments where he seems ill at ease, but that is the fault of the particular actress in those scenes (who will be discussed later). Overall, it’s Moore giving his single best performance as Bond. Making for another change is Carole Bouquet as Melina Havelock. Melina harkens back to the three dimensional Bond girls of the past such as Domino and Anya Amasova, especially in the way the character is written. Carole Bouquet brings the revenge minded character to life skillfully and realistically, she also shares some excellent chemistry with Moore as well, helping to make the relationship between them all the more believable. Though seemingly forgotten behind more famous (and suggestively named) Bond girls, Bouquet as Melina is both a highlight of the film and the series. The supporting cast of the film is for the most part successful as well. Julian Glover and Topol play the two other major characters, Kristatos and Columbo, who both make a major plot twist in the film believable by playing two different versions of their respective characters. Michael Gothard makes quite an impression as the silent henchman Emile Locque, always lurking and always being menacing. The film also sees actor James Villiers take on the role of MI6 chief of staff Bill Tanner, replacing M as played by the recently deceased Bernard Lee, and in a way it is a shame that Villiers didn’t become the new M as he seems to be set up for exactly that here. The only major misfire of the supporting cast is as Lynn-Holly Johnson the ice-skating Bibi Dahl who, through both writing and Johnson’s performance, is nothing but the only cringe inducing piece of an otherwise serious Bond film. Despite Johnson, the supporting cast of For Your Eyes Only is for the most part excellent. Much of the credit for the film’s success lies in the decision to bring Bond back to earth. From the opening pre-credits sequence which tips its hat to both Bond’s dead wife Tracy and the series former arch-villain Blofeld, For Your Eyes Only almost seems to harken back to the Bond films of the 1960s rather than the ones that immediately preceded it. There are strong echoes of On Her Majesty’s Secret Service from the aforementioned pre-credit sequence (which is almost a mini-sequel to that film), the snowbound sequences and the final assault on the mountain hideout of the villain. The film also echoes both From Russia With Love and Thunderball as well, mirroring major sequences from both of them. The results are both familiar and yet excitingly fresh at the same time. 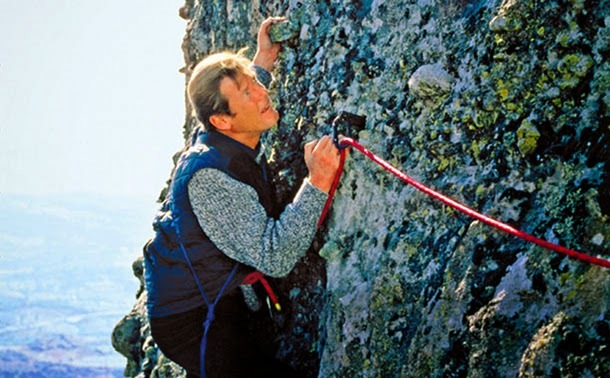 For Your Eyes Only might come across as being more serious than the average Bond film, but it is no less action packed. The action covers air, land and sea and the results are superb all around. They range from Bond attempting to take control of a remote controlled helicopter in mid-flight to a surprisingly effective car chase, excellently filmed ski sequences, suspenseful underwater sequences and a climbing scene that features one of the most impressive Bond stunts ever. Like the references to the past, these action pieces cover familiar territory but do so in a way you might never know the difference. Nowhere though does the film come down to earth more than in its script. After the out of this world and often cringe worthy hijinks of Moonraker, Bond returns to familiar territory in more ways than one. Bond finds himself in a Cold War thriller, with a vital piece of Western defense up for grabs, whilst also dealing with the revenge minded but beautiful woman whose family was killed in pursuit of it. In bringing that plot to life, the film’s writer’s returned to Ian Fleming’s original short stories and novels, combing pieces from across the literary cannon. As a consequence, this is a storyline and script that is somewhat closer to reality than Bond had been in more than a decade, with the result being a film that is much more suspenseful and even exciting than it’s over the top predecessor. One aspect of For Your Eyes Only that is mixed though is its score. Given how much the film harkens back to the 1960s Bond films, it is a real shame that this would be one of the installments that John Barry did not score. Instead we have Bill Conti, the Oscar winning composer of films such as Rocky and The Right Stuff. Conti falls into much the same trap that Marvin Hamlisch did in The Spy Who Loved Me by trying to make the score overly contemporary, which resulted in it feeling more than a bit dated when viewed today. 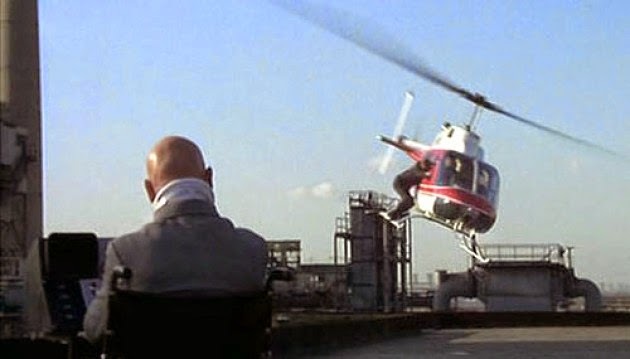 Unlike that score, Conti’s at least has moments of being highly effective, such as the opening gun barrel music, the Spanish car chase, the moments between Bond and Melina and of course the highly suspenseful climb in the film’s climax. 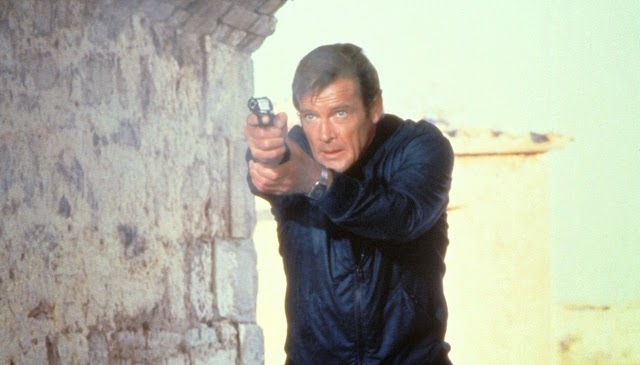 There is also the title song performed by Sheena Easton (who appears in the superb opening credits as well), which has become one of the most memorable Bond theme tunes. What can be said about the score then is this: It isn’t the best by any means but it’s an effective one nevertheless. 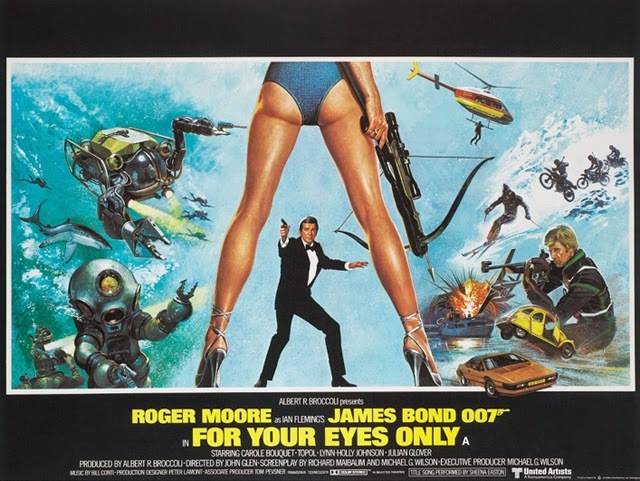 Where though does For Your Eyes Only rank amongst the Bond films overall? In terms of the Roger Moore era, it is certainly the best thanks to both Moore’s best performance as Bond and its down to earth plotting. In the series overall, it's a film that is highly underrated. Because, with its acknowledgments and echoes of the past, it is almost as if the film seeks to remove a decade’s worth of questionable Bond films and start afresh. In that regard and others, For Your Eyes Only succeeds.